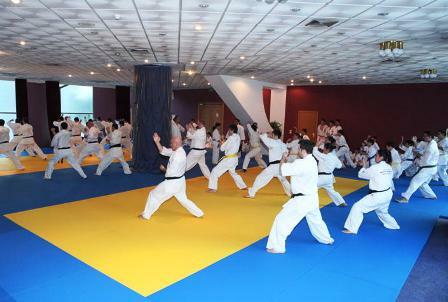 During a period between February 2~6, IKO Europe Judge& Referee Seminar hosted by Shihan Dorel Bulearca and lectures by Shihan Katsuhito Gorai was held in Romania. Participants attended from Austria, Germany, Norway, Romania, Poland and Switzerland. IKO Romanian students including +50 boys and girls also took part in the special training sessions held in between judge seminars.